With so much conflicting information being shared online, I wanted to take the opportunity to write a short blog post to explain a little more about both procedures. Microblading is an ancient artisan craft derived from Asia, which has been a popular beauty enhancement for over 25 years, with its original roots in cosmetic tattooing dating back to over 5,000 years ago. 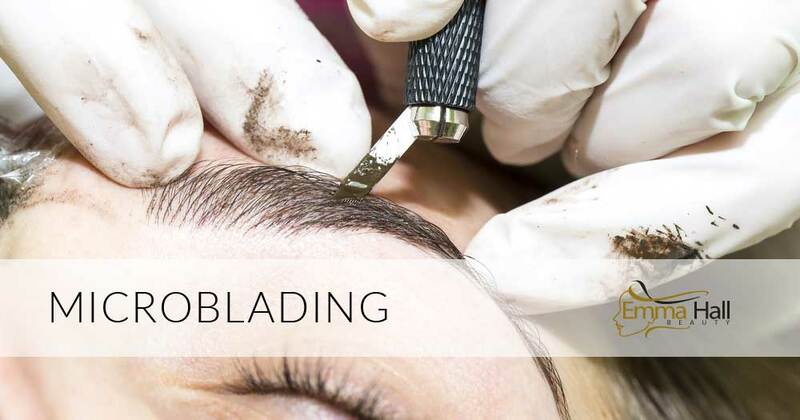 The process of Microblading involves the use of a manual hand held tool with a specifically designed blade comprised of ultra fine needles, which is used to create fine micro hair strokes by superficially cutting into the skin with intricate precision, to replicate the client’s own natural hairs and add volume and definition to their existing brows. In contrast to Microblading which allows the artist to design hair strokes through the manual application of pressure, a permanent makeup machine applies the pressure directly enabling the technician to focus on the creation of elegant brow strokes using a variation of specially designed micro needles, which implant pigment directly into the skin in a similar method to that adopted by tattoo artists. Historically Microblading has been favoured by some technicians due to the direct control it enables them to have regarding the drawing of hair strokes and depth of pigment insertion. Some technicians have in the past felt that older PMU devices often struggled to cope with the bend load created by needle sizes and electrically generated downward pressure which they personally had little control over, however as technology has evolved and with the invention of advanced nano needle technology, these issues have been addressed with both manual and machine derived methods of micropigmentation providing alluring results, flawless strokes and enviable shaded 3d and ombre effects. Whilst both disciplines have the capability to achieve a stunning enhancement which will compliment your face shape, it’s very much an individual choice as to what method you personally select. Opinions will always vary as to which procedure delivers the best results, with some people preferring Microblading due to what they feel is a more natural look and others firmly recommending Permanent Makeup using a device, for its slightly bolder and structured results which have a tendency to last slightly longer than microblading, due to the depth of pigment implantation. The consultation method and design process for both Microblading and Permanent Makeup are very similar with detailed measurements being carried out and pre-drawn brows created before the pigment is applied, so that you’re able to see what the end result will look like and make any necessary modifications before it’s too late. With both procedures a post treatment top up will be required up to 6-8 weeks after the initial session has taken place, with annual refreshers advised to keep the pigment and consistency looking sharp and bold. Whichever option you ultimately decide to go for, it’s important to carry out thorough research and to select a highly experienced permanent makeup technician who has had many years industry experience. Due to the increased popularity of permanent make up over the last decade, the market place has become saturated by offers of appealing low cost treatments. However as with anything in life experience costs, so please make sure that you check the training of your technician to ensure that it’s both accredited and recognised by a reputable awarding beauty body, in addition to requesting to see a copy of their valid insurance and local council salon inspection report. Don’t be tempted to opt for the lower priced offers to save money, as this is one treatment where experience and skill should be valued. Your face is seen on a daily basis, so why risk undergoing a procedure by an inexperienced technician, which could go horribly wrong? Whilst not permanent in the way a tattoo is, semi-permanent make up once implanted would need to be professionally addressed through numerous tattoo removal sessions, which would be extremely uncomfortable, expensive and emotionally challenging. If you’d like to find out more about what types of questions you should be asking before committing to a permanent makeup treatment, or read my top tips on how to pick a great permanent make up Practitioner, I’ve addressed both topics in earlier blog posts along with other useful information, which you can review on my website. 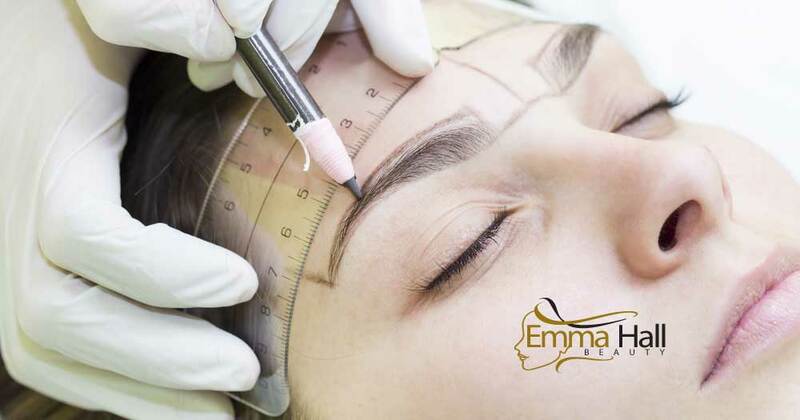 https://www.emmahallbeauty.com/wp-content/uploads/2017/05/microblading-1.jpg 525 1000 Emma https://www.emmahallbeauty.com/wp-content/uploads/2017/02/emma-hall-beauty-logo-2016-1.png Emma2017-05-18 13:20:172017-05-18 15:12:43What’s the difference between Microblading and Permanent Makeup? Questions to think about before deciding on permanent makeup Is Permanent Makeup The Career For Me?